Are you looking for a general purpose nuclear camera? One with modern software, reliable detectors, and ready parts availability? Do you have a standing relationship with a Philips-savvy service engineer? To that end, we submit the Philips Brightview for your consideration. The factors we just mentioned are all good reasons for camera buyers to look into a Brightview, and they're not the only advantages you'll find on its spec sheet, but on top of that the model presents a solid value for Philips-heavy facilities because of the unique moment in which we find the camera market. Keep reading for more on both sides of the Philips Brightview. The Brightview's predecessor, the Forte, was popular all over the world for its reliable detectors, accessible design, and ease of operation. For several years it was one of the most popular cameras we sold. When the Brightview entered the scene in 2007, it was a worthy successor. It retained what was great about the Forte and added a smaller footprint, slightly larger detectors, and a Windows XP-based work environment. Beginning in 2009, you could purchase the Brightview with a flat panel CT detector for attenuation correction which could also capture data for volumetric reconstructions. 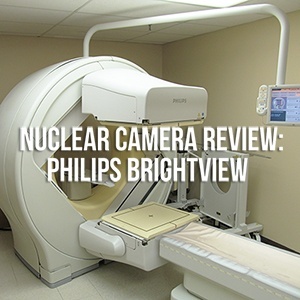 In March 2014, Philips suspended indefinitely their CT and molecular imaging manufacturing operations in Cleveland, OH. This effectively took Philips CTs, PET/CTs, and nuclear cameras off the market until further notice. In 2016 manufacturing for certain systems began again, but not general purpose nuclear cameras. This left the Brightview, a solidly performing camera, in a kind of orphaned state- relatively young in the equipment life cycle, but no longer rolling off the assembly line. This is good news for buyers. Because the system is no longer manufactured, the cost to acquire one has gone down. 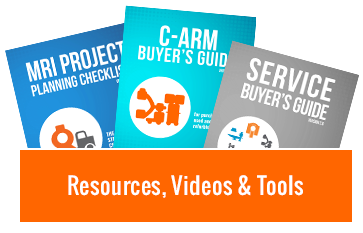 At the same time, the third party market has a good supply of systems and parts to keep Brightviews going strong for years to come. If you have service partners with the right access, the Brightview can be a good pick for your facility, both in terms of performance and capital cost. If you don't, we'd love to help you find a camera that would be a better fit for your needs. Click the banner below to tell us what you need, ask questions, or request a nuclear camera quote.